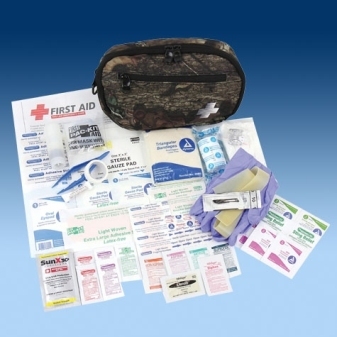 127 pieces kit, exeeds the basic first aid needs of an active boating family in a wall mountable plastic case. 74 pieces for small craft, plastic case with locking lid, fits easily into small storage areas on boat. 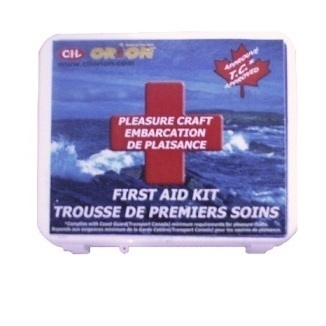 45 Pieces kit approved by Transport Canada for small commercial boats. 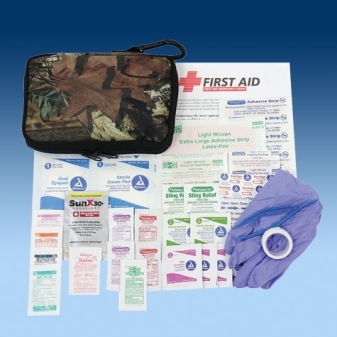 includes adhesive bandage (1), triangular bandage (1), safety pins (2), roll of adhesive tape (1), safety scissors (1), antiseptic wipes (10), first aid instructions (1), latex exam gloves (4), resuscitation face shield (1). 38 pieces kit for the active family, great for small storage areas including duffel bag, backpack, or glove box, in a plastic case. 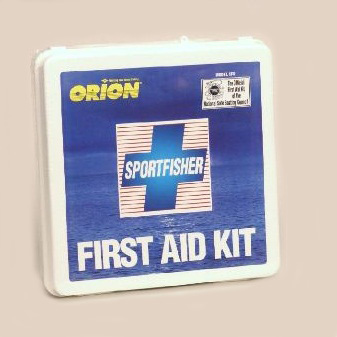 227 pieces kit for the fisherman and family serious about safety in a wall mountable case with a weather proof gasket lid. 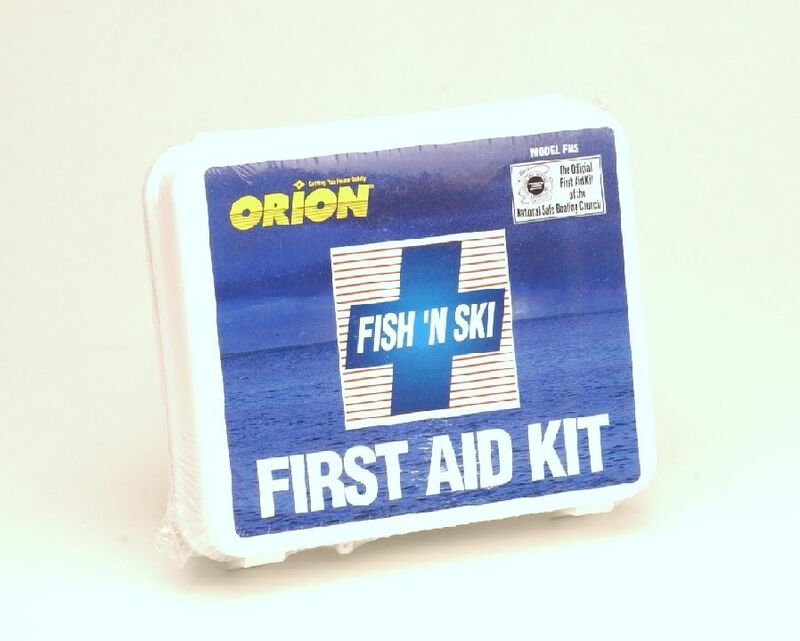 79 pieces kit for a week end on the water, contains an assortment of the most frequently needed products for minor emergencies in a wall mountable plastic case. Packed in Nylon pouch with an inner zip lock water proof bag. 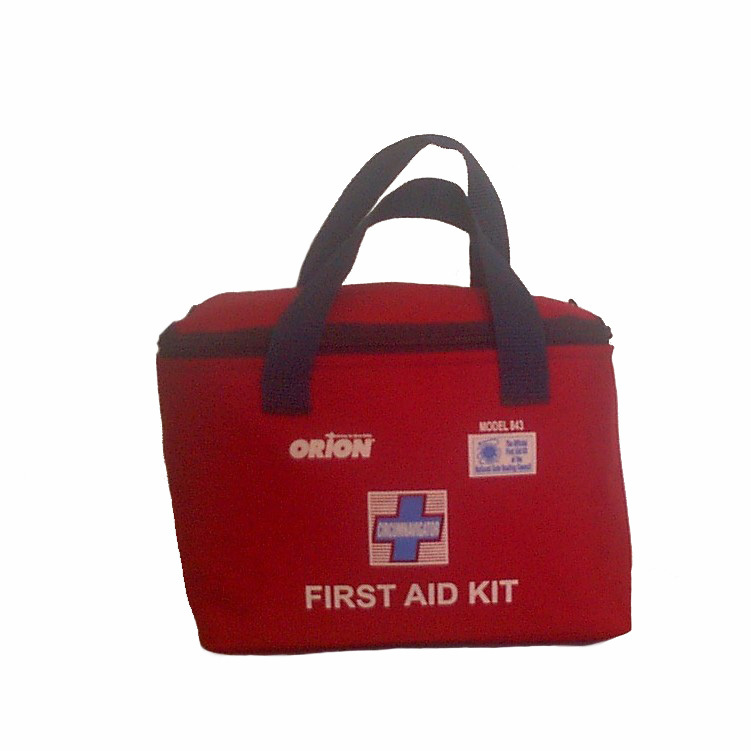 Contains 40 pieces of first aid treatments for cuts, scrapes, minor burns, pain relief, insect stings, motion sickness and more. 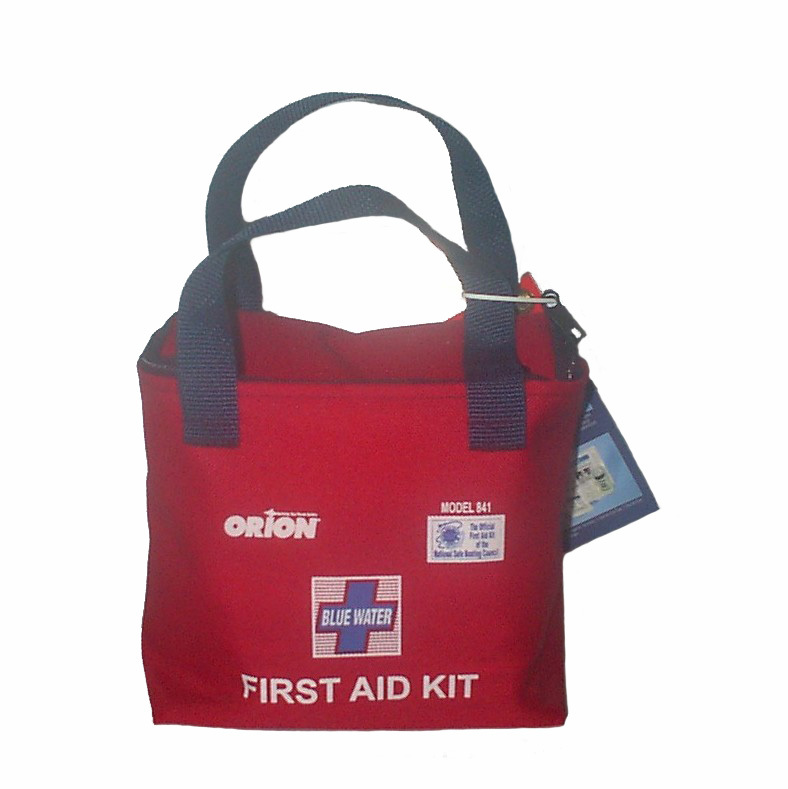 Packed in Nylon pouch with 2 inner zip lock water proof modules. 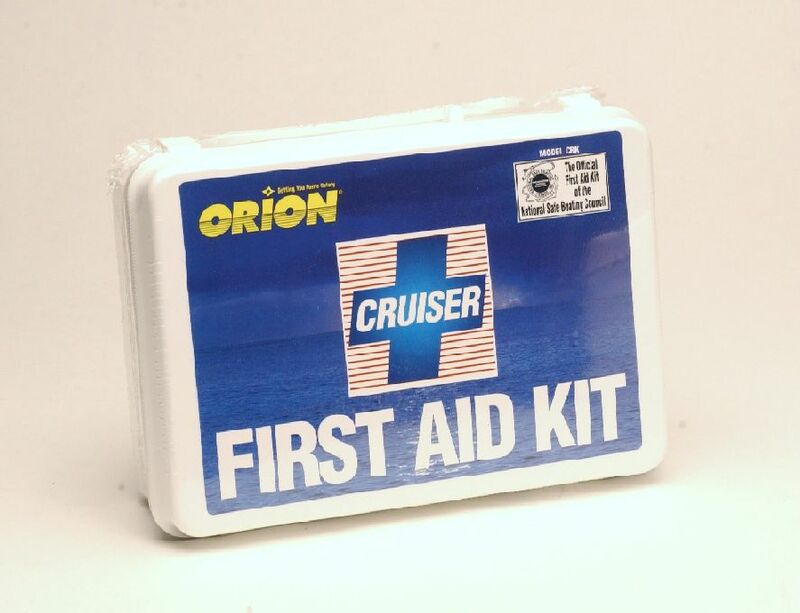 Contains 74 pieces of first aid treatments for cuts, scrapes, large wound treatment, minor burns, pain relief, insect stings, motion sickness and more. Packed a double zipper, PVC-coated nylon bag with 3 inner zip lock water proof modules. 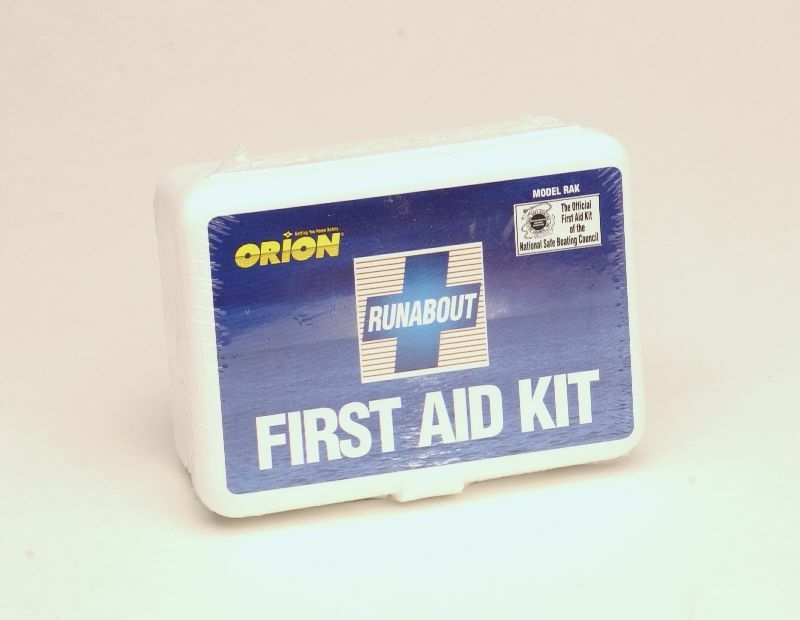 Contains 75 pieces of first aid treatments for cuts, scrapes, large wound treatment, sprains and limb injuries treatment, minor burns, pain relief, insect stings, motion sickness and more. Packed a double zipper, PVC-coated nylon bag with 5 inner zip lock water proof modules. 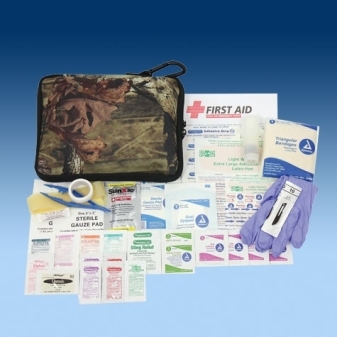 Contains 146 pieces of first aid treatments for cuts, scrapes, large wound treatment, sprains and limb injuries treatment, minor burns, pain relief, insect stings, motion sickness, eye injuries and more. Also included a module with 67 medications. Packed a double zipper, PVC-coated nylon bag with 7 inner zip lock water proof modules. 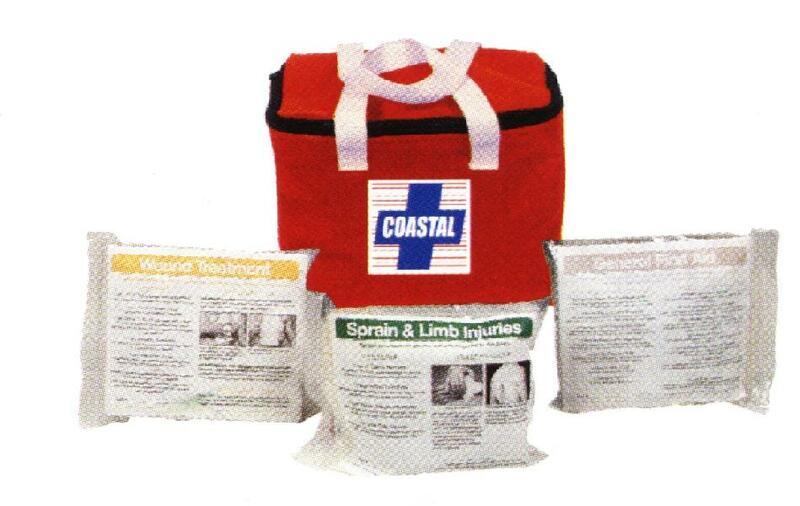 Contains 152 pieces of first aid treatments for cuts, scrapes, large wound treatment, sprains and limb injuries treatment, minor burns, pain relief, insect stings, motion sickness, eye injuries and more. Also included a module with 67 medications and one with CPR & Shock treatment. Packed a double zipper, PVC-coated nylon bag with 7 inner zip lock water proof modules. 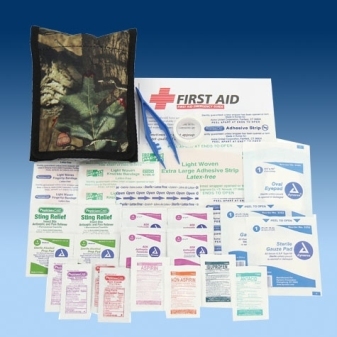 Contains 161 pieces of first aid treatments for cuts, scrapes, major wound treatment, fractures, sprains and limb injuries treatment, minor burns, pain relief, insect stings, motion sickness, eye injuries and more. Also included a module with 67 medications and one with CPR & Shock treatment. 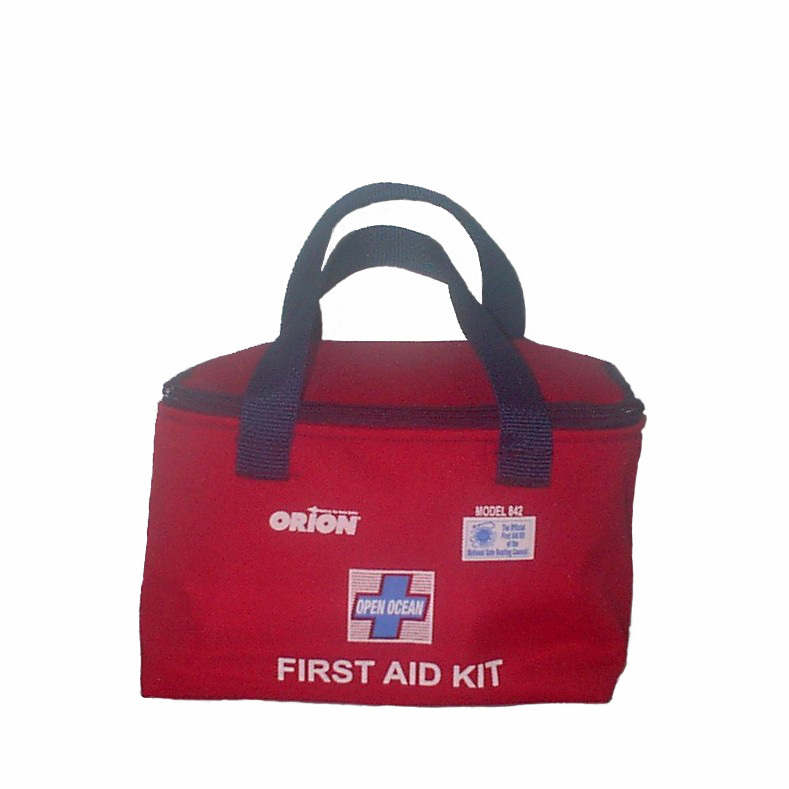 BASIC FIRST AID KIT, 6 PER CASE. 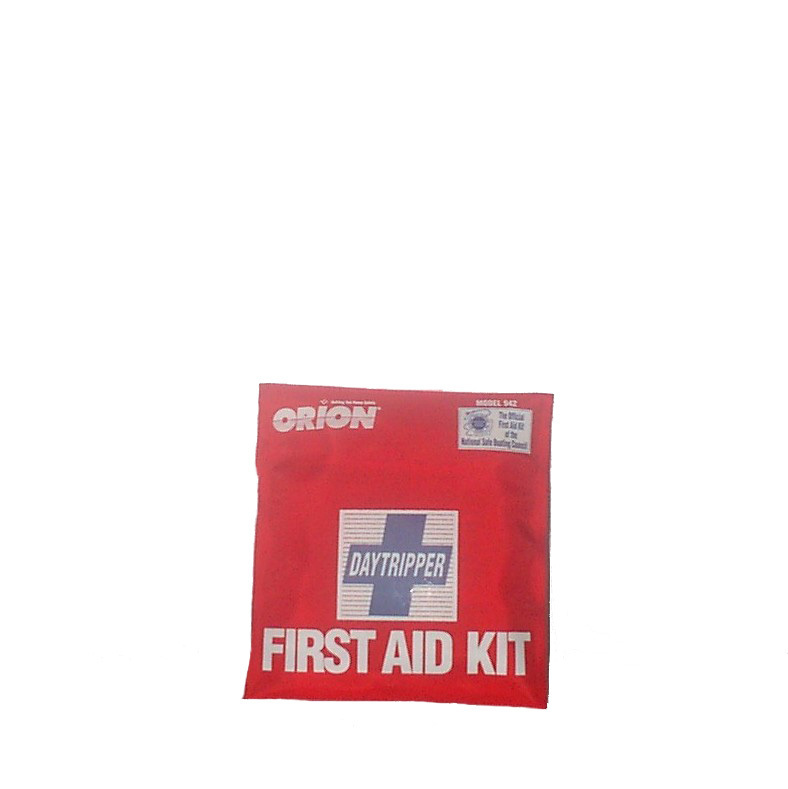 DAY TRIPPER OUTDOOR FIRST AID KIT 6 PER CASEt. 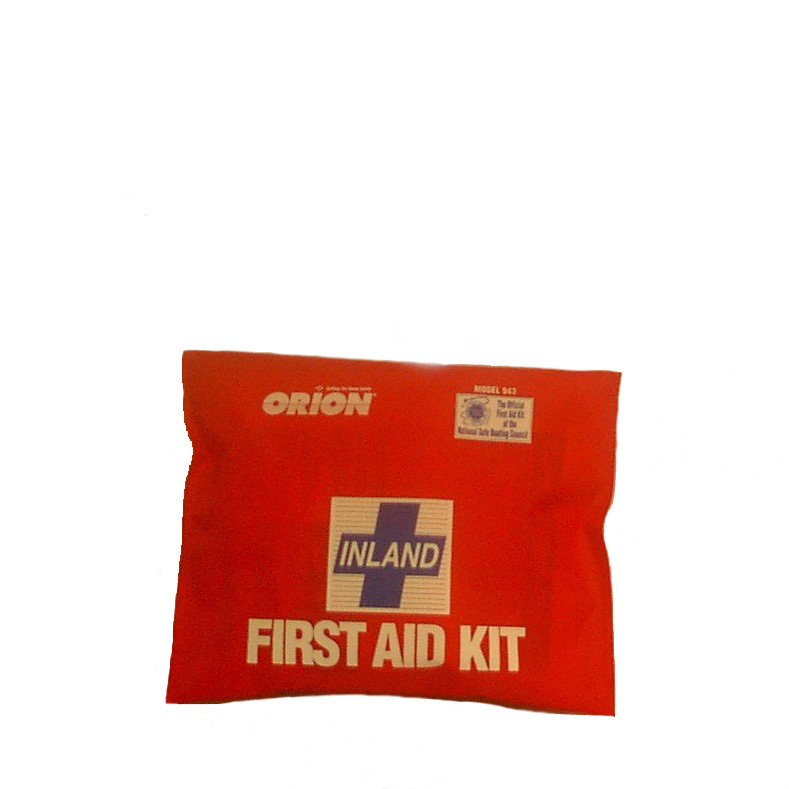 OVERNIGHT OUTDOOR FIRST AID KIT, 4 PER CASE. 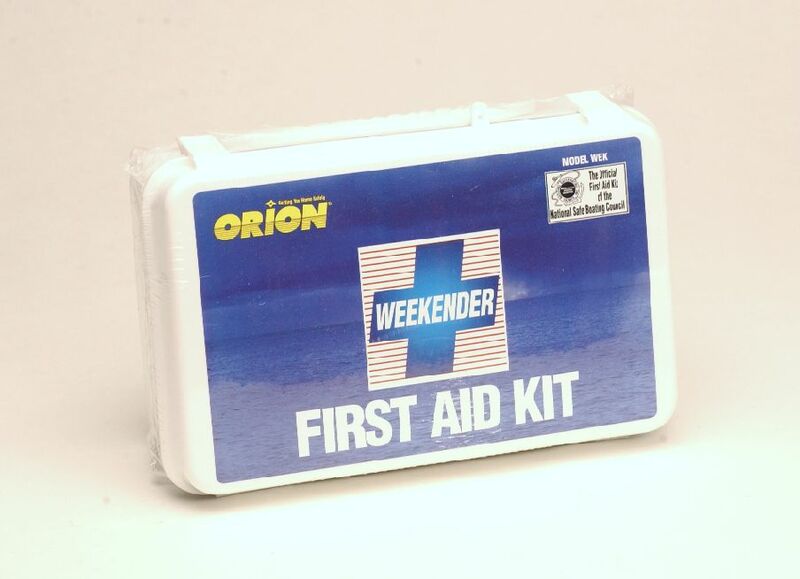 WEEKENDER FIRST AID KIT, 4 PER CASE.